Leverage highly accurate predictions based on machine learning of broad sets of data in tune with each individual to drive customer loyalty and revenue. 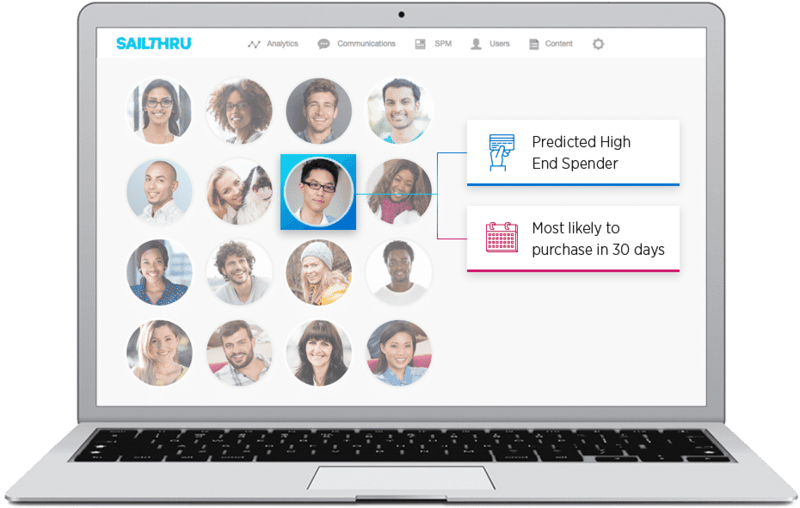 Pulling daily from broad sets of omni-channel data, typically 100’s of data points per user and billions per organization, marketers can rest easy knowing that Sailthru’s predictions are powered by the most up-to-date and relevant data on their users. 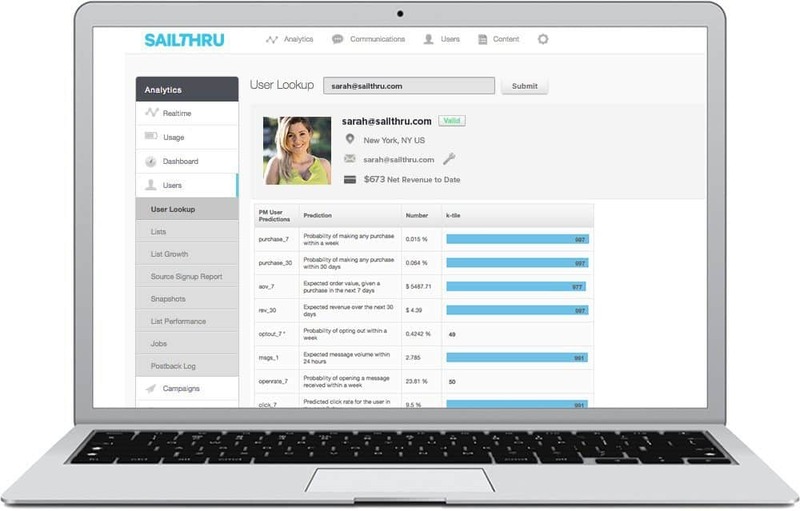 With no reliance on third-party technologies to drive your predictions, marketers can leverage Prediction Manager across the Sailthru platform, including within your email and site personalization objectives with Site Personalization Manager, and even within your customer journey workflows to automate your data-driven insights.